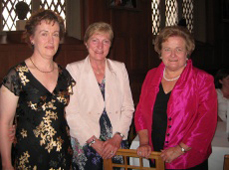 The Annual Dinner of QWG was attended by the Presidents of UCD and Dublin University Women Graduates associations, the head of the Virginia Gildersleve foundation who was visiting from Americia, Oonagh Ferrity President QGA and Rachel Gregson. The guest speaker was Prof Catherine Clintonwho spoke on the topic "Gender and Education in US Women's History". 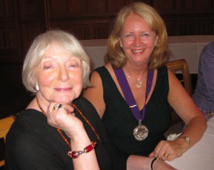 Members of Women's Forum and Soroptomists International were invited to the Dinner and the Chair of WFNI was proud to wear her chain of office at the Dinner.